Drain, Pipes & Valves Cleanings & More Plumbing Services | Elite Plumbing & Heating, Inc.
Having a functional plumbing system is something we take for granted until something goes wrong and we have to go without it. 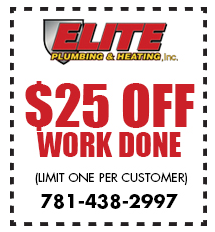 At Elite Plumbing & Heating Inc., we take great pride in helping our customers get their plumbing system back to normal quickly and efficiently. Whether your problem is with your toilet, shower, kitchen sink, or somewhere else, we’ll diagnose the problem and begin fixing it immediately. 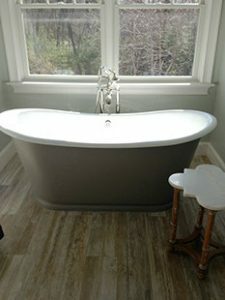 Our team of trained professionals is lead by our owner and head plumber, Chuck Maida. For nearly 30 years, Chuck Maida and his team have provided professional plumbing services to the North Shore, Massachusetts area and beyond. We are happy to offer timely answers and quality fixes to all of your plumbing problems. 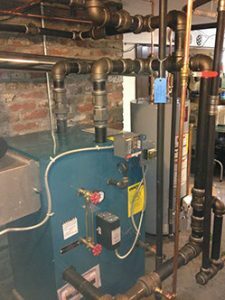 In addition to providing our customers with superior plumbing services, we also seek to help our customers by providing plumbing and heating advice to help get ahead of future issues. Visit our blog page to see some of our plumbing and heating tips! If you’re experiencing plumbing issues in the Stoneham, MA area, call Elite Plumbing & Heating, Inc. today and we’ll be there to help! Visit our Contact Us page for all the ways to reach us but for immediate assistance, please call 781-438-2997.